A female rock-climber framed by stalactites. 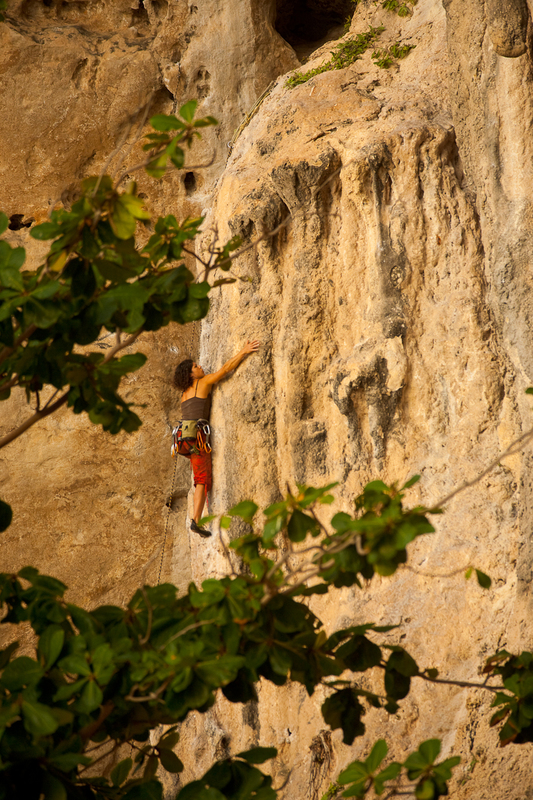 Due to its limestone topography, Railay is a hub of rock-climbing activities. 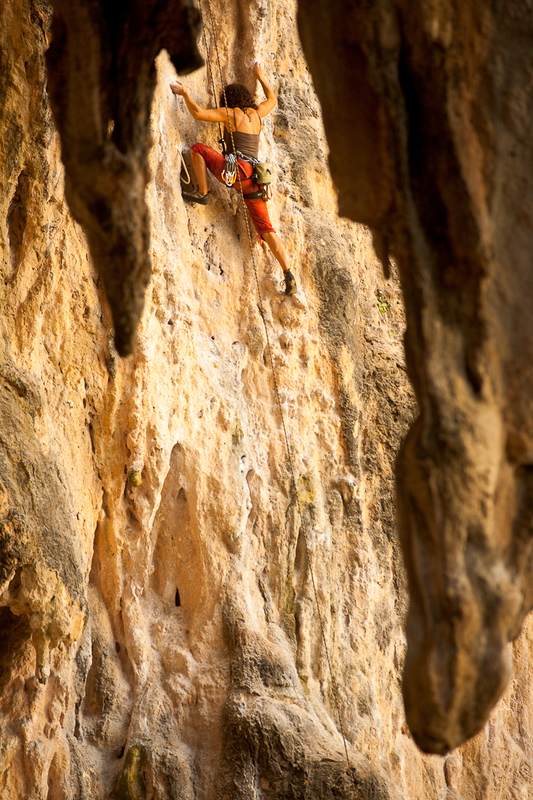 A female rock-climber ascends a nearly shear cliff face.